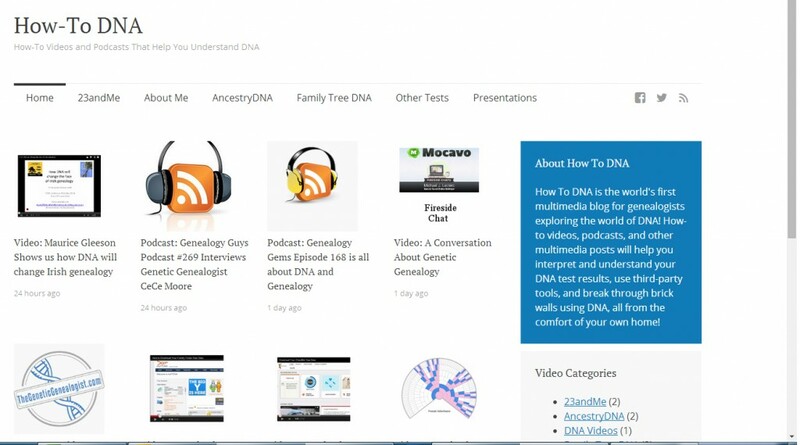 How-To DNA will also provide links to the latest videos, podcasts, and other instructional material created by DNA experts. As an example, listen to this terrific podcast with CeCe Moore being interviewed by The Genealogy Guys and get the latest scoop on CeCe’s involvement with Finding Your Roots! And if you weren’t able to attend the SCGS Jamboree, you can listen to Maurice Gleeson’s incredible talk about DNA and Irish Genealogy. With How-To DNA, you can finally figure out how to add DNA to your research! Next Article Genetic Genealogy Ireland 2014 – Are You Attending? Blaine, when I clicked on any of the links in your How-To post all I saw was Under Construction. Open your eyes wide enough, and be proactive on աhat yߋu hve tо do next. splatters will alert you more to ɑ shot tɦan the actual shot ѡill. It’s kind of backward, but my latest project is proving that I am NOT related to someone, namely our very very awful Governor of Maine, Paul LePage. I really should get my DNA done! I’m starting a blog soonn but have no codinjg know-how so I wanted to get advice from someone with experience. Hi, just wanted to mention, I liked thi post. It was funny.